Take advantage of this information to build and strengthen your business! 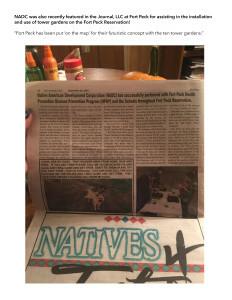 HELENA – Governor Steve Bullock today announced the certification and funding of the statewide Native American Development Corporation (NADC) in Billings with $420,000 to help native owned businesses grow, expand, and create more jobs on reservations and in Native communities. 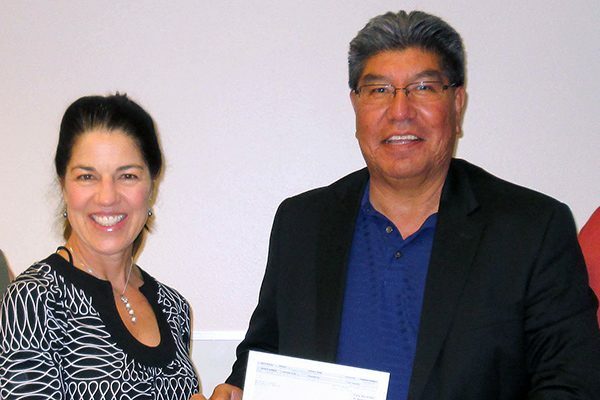 NADC will use the funds to provide specialized services to constituents within the seven Indian reservations in Montana. 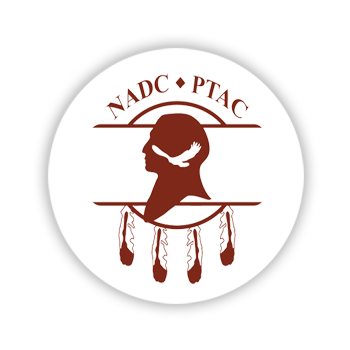 NADC will offer loans to startup and existing microbusinesses with fewer than 10 full-time equivalent employees and gross annual revenues of less than $1 million. Eligible businesses may apply for loans up to $100,000 for working capital, startup operating costs and equipment. 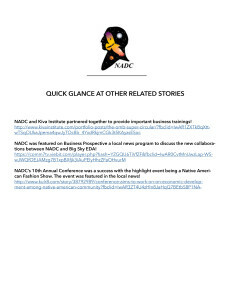 NADC will also provide training and technical assistance to qualified microbusinesses. 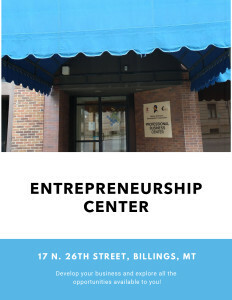 The MicroBusiness Finance Program was created in 1991 to provide capital for state-certified MicroBusiness Development Corporations to loan to sound and feasible microbusinesses across Montana. The Montana Department of Commerce partners with several regional and now one statewide economic development organizations to provide this service. To date, these organizations have made more than 1,120 loans, totaling more than $24.8 million, which has created or retained more than 2,600 jobs. For more information about the MicroBusiness Finance Program, visit www.mbfp.mt.gov. 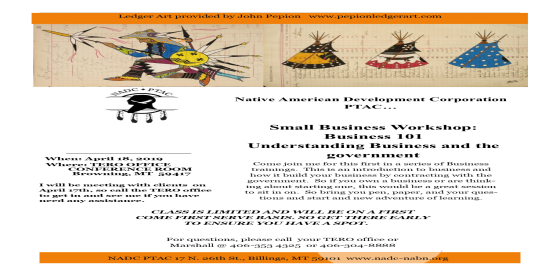 Native American Development Corporation is offering a discount on conference registration of $250.00 to all small businesses that will be attending the FREE PTAC Marketing training and Matchmaking event a day prior to conference kick off. Contact Charelle Beatty for more information! Lending and Investing Opportunities in Montana: We need your input! 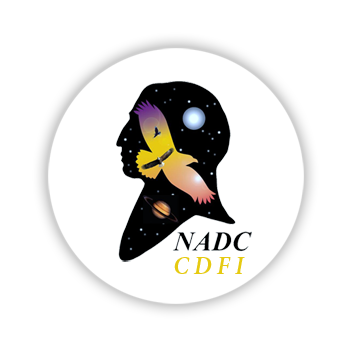 The Community Affairs Offices of the Federal Deposit Insurance Corporation, the Federal Reserve Bank of Minneapolis, and the Office of the Comptroller of the Currency, in partnership with the Native American Development Corporation (NADC), are pleased to invite you to a Community Development Forum. 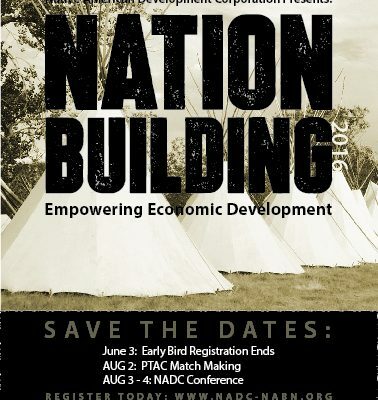 The Forum is taking place in conjunction with NADC’s Economic Development and Procurement Conference, and is intended to broaden and deepen partnerships that advance lending and investing in low-and moderate-income (LMI) and Native American communities in Montana. Native and non-Native community development organizations, banks, and small businesses will describe their experiences securing financing for businesses and housing. They will also discuss innovative and ground-breaking models for overcoming barriers to financing and the potential for future growth. 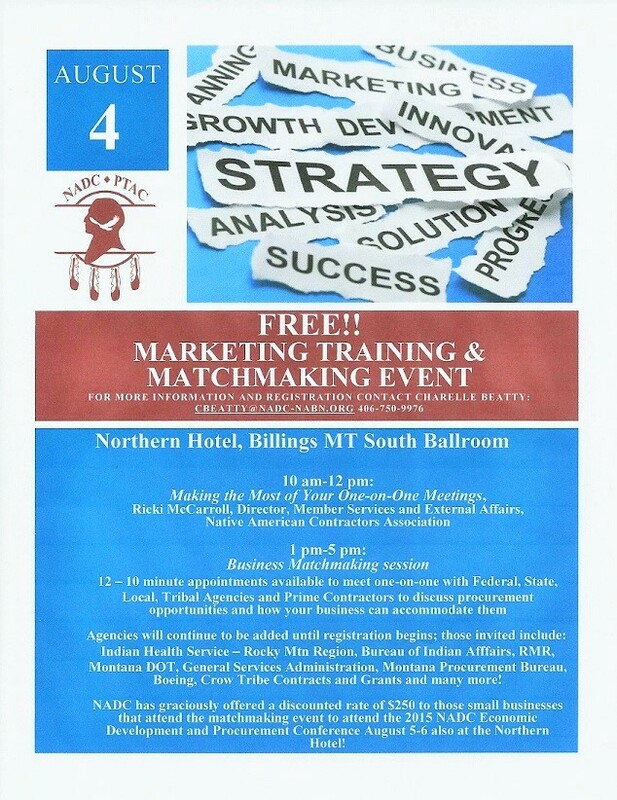 The Forum is designed to increase awareness among bankers, non-profit organization leaders, government and tribal agency staff, elected officials, and others about initiatives ranging from tax credit programs to a gap financing pool, available to support Native American businesses. Banks are strongly encouraged to attend this event to learn about lending and investing opportunities that support safety and soundness criteria. 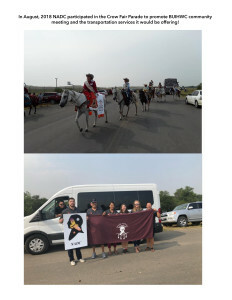 Information about the event is noted below. Tuesday, August 4, 2015, 8:30 a.m.–3:30 p.m.
Continental breakfast and lunch will be served. This forum is being offered free of charge, but registration is required. Please click HERE to register. Please confirm your attendance by Tuesday, July 28. 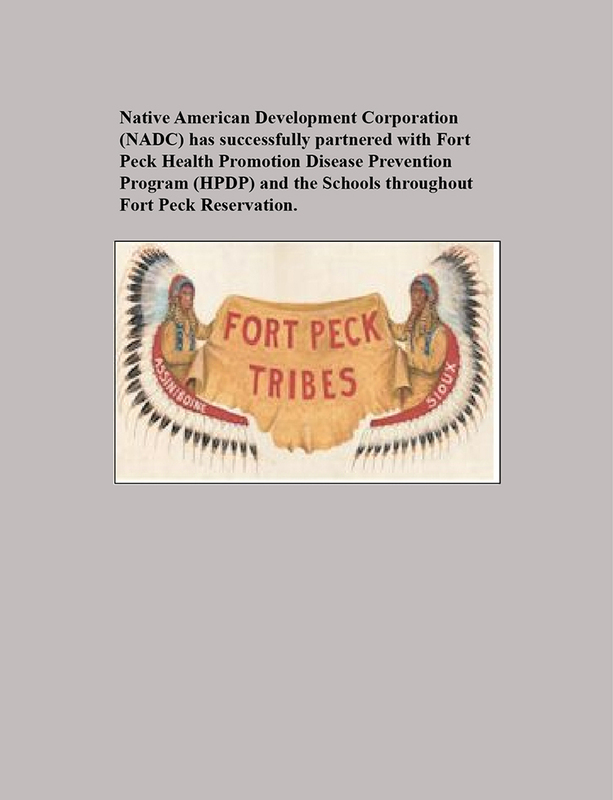 The Native American Development Corporation was established in 1996. Copyright © 2015-16. All right reserved. 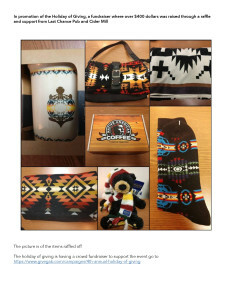 Native American Development Corporation.